Light and luscious, this tangy spinach florentine soup with chicken from Weight Watchers SmartPoints Cookbook, calls for just a handful of ingredients and comes together in less than 20 minutes. It may not be the prettiest soup ever, but what it lacks in looks it makes up for in flavor. A simple and quick soup that not only tastes good, but is also good for you with only one Weight Watchers SmartPoint. How Many SmartPoints are in this Weight Watchers Tangy Spinach Florentine Soup with Chicken? Each serving (about 1-1/4 cups) of this tasty satisfying Tangy Spinach Florentine Soup with Chicken has just 1 Weight Watchers Freestyle SmartPoint. With the new Weight Watchers Freestyle Program all of the ingredients in this recipe except the orzo are zero points foods. This soup calls for chopped cooked chicken breast. I like to keep cooked chicken breast on hand, either in the fridge or freezer, for quick and easy meals. You could always substitute rotisserie chicken breast. You will also need 1/2 cup orzo or some other small pasta shape cooked according to package directions just until it is al dente, with a bit of chew left so it isn’t mushy in your soup. The broth and spinach are pureed before adding the cooked chicken and orzo. Using an immersion blender makes this super quick and easy. 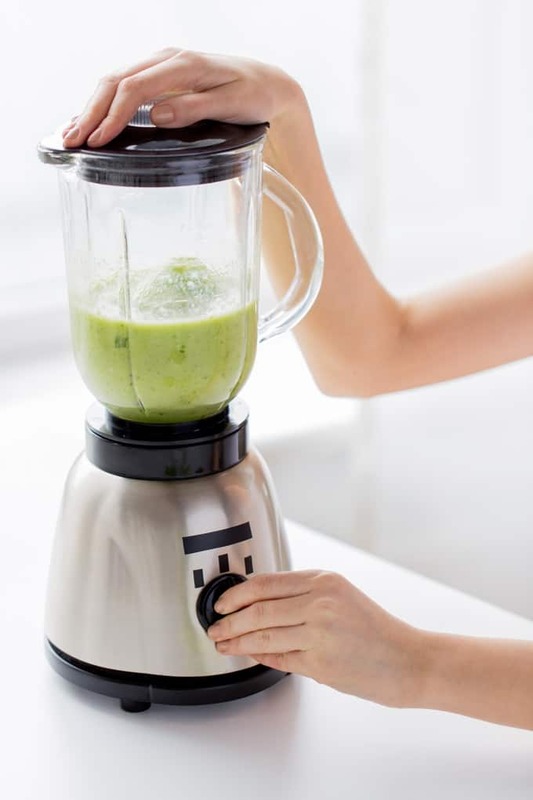 If you don’t have one you can always use your regular blender (affiliate link) instead. Lemon juice is important for brightening up this soup and giving it its tang, so don’t skip it. To increase the protein and add more creaminess, top each serving of soup with a dollop or two of fat-free Greek yogurt. 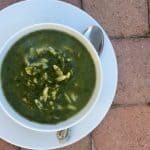 How Do I Make This Weight Watchers Tangy Spinach Florentine Soup with Chicken? Spray a large saucepan with nonstick cooking spray and place over medium heat. 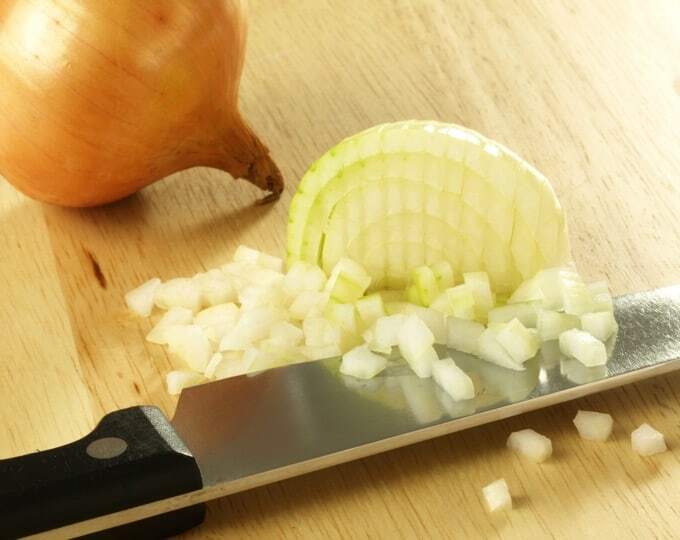 Add the onion and spinach and cook, stirring often, until the spinach is wilted, about 5 minutes. Remove saucepan from the heat. Add the chicken broth and puree the mixture either right in the saucepan with an immersion (stick) blender or in batches in a traditional blender (affiliate link). Return the spinach mixture to the saucepan and add the pasta, chicken, lemon juice, salt, pepper and nutmeg. Cook over medium heat, stirring often until hot, about 5 minutes more. 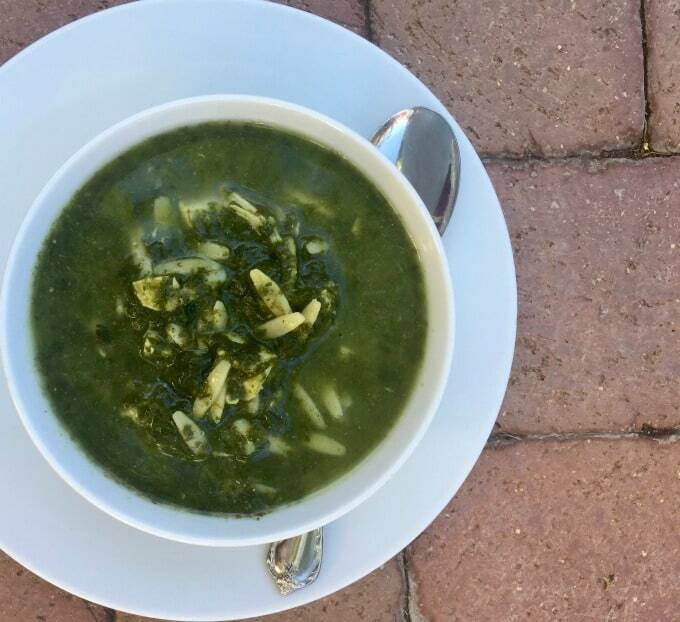 Quick and easy to make, tasty and good-for-you, with only 1 Weight Watchers Freestyle SmartPoint, this Tangy Spinach Florentine Soup with Chicken has become a family favorite. Remove saucepan from the heat. Add the chicken broth and puree the mixture either right in the saucepan with an immersion (stick) blender or in batches in a traditional blender. Return the spinach broth mixture to the saucepan and add the pasta, chicken, lemon juice, salt, pepper and nutmeg. Cook over medium heat, stirring often until hot, about 5 minutes more.